We are all sensitive to sound. It’s the reason why your pores raise when you’re listening to a piece of classical music, or a solo performance from an incredible voice. Sound is vibration. 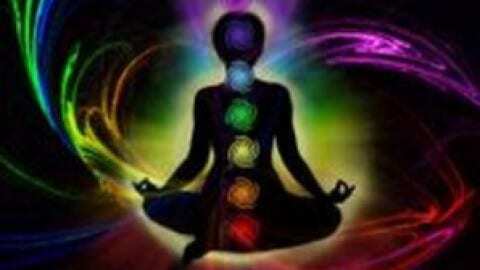 Chakras respond to vibration. Now you know how this works. Here are some simple sounds you can do with an active meditation that will open your chakras. Please remember to ground yourself and remember that when you deliberately open your chakras you need to close them. Walking around the town with wide open chakras will attract all sorts of energy like a moth to a flame, and that’s not something you want. Why would you want to open your chakras anyway? People who use their chakras in their work, like healers, masseurs, therapists, doctors, mediums, and other energy workers, need to open their chakras to allow their positive healing energy to flow through and to receive the energy and guidance they need. 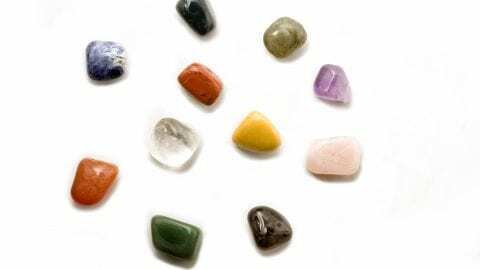 It can be useful for the average person to use their chakras in their daily lives to heal themselves and help others, like we all did in the past. Prepare a room where you will not be disturbed. It’s always helpful to smudge the area with sage first, and light a couple candles to set the mood. You can also softly play some meditative music like Tibetan chime bowls and Indian flutes if it helps you. Sit as comfortably as possible, close your eyes and clear your mind. Slow your breathing down to deep steady breaths. 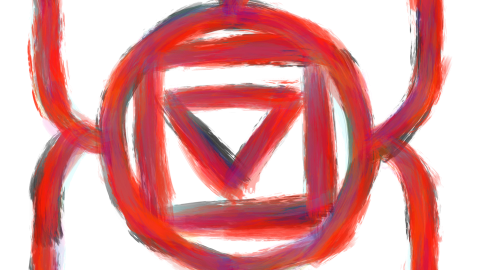 We will start at the root chakra and work upwards. 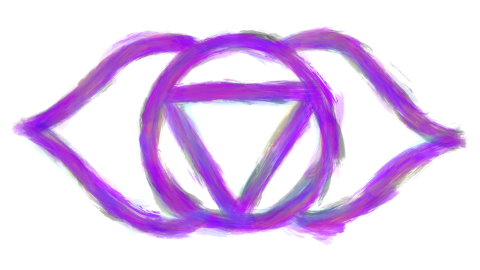 Do not do the crown chakra unless you are confident that you have a strong root chakra. Do each meditation for 7 to 10 breaths, or more if you fancy but keep them consistent, and chant the sound with each exhale. Feel the chakra open and glow brighter with the vibration of your meditative chant. Let the tips of your thumb and index finger touch, while concentrating on your root chakra. Chant “LAM”. Put your hands, palms up, on your lap with your left hand underneath and the fingers of your right hand in the palm of your left. 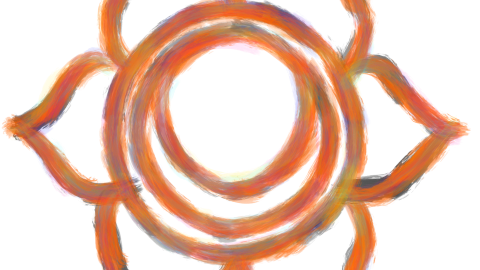 Gently touch the tips of your thumbs gently and concentrate on your sacral chakra. Chant “VAM”. Pointing your fingers away from you, let all your fingers join at the tips and cross your thumbs. Make sure your fingers are straight. Hold your hands just in front of your stomach, slightly under your Solar Plexus, and concentrate on your solar plexus chakra. Chant “RAM”. Sit upright, putting your left hand on your left knee and your right hand in front of the middle of your chest. Let the tips of your thumbs and index fingers touch, while concentrating on the heart chakra. Chant “YAM”. Cross your fingers on the inside of your palms and let your thumbs touch at the top, pointing upward. Pull your hands up under your chin, letting the tips of your thumbs touch your chin while concentrating on your throat chakra. Chant “HAM”. Put your hands in front of you with your palms facing each other and your fingertips touching. Bend your index fingers inward at the second joint. Keeping your middle fingers and thumbs straight, bend your ring (3rd) finger and little (4th) finger inward at the second joint. Pointing your thumbs towards your body, concentrate on your third eye chakra. Chant “OM”. 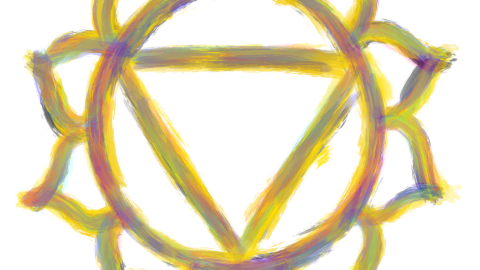 Do not progress to the Crown Chakra until you are confident that your Root Chakra is strong enough. Put your hands in front of your stomach, crossing all of your fingers except the ring (3rd) fingers, which will remain touching at the top. Make sure your left thumb is under your right thumb and concentrate on the crown chakra. Chant “NG”. 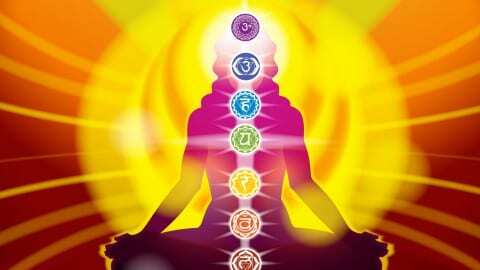 A very easy way to close the chakras after you have done this meditation is to visualise each of the chakra’s gates closing to their natural state. Some people think of the chakras like flowers, and each of the petals closing one by one, starting with the crown and working down to the root chakra. Remember to ground yourself when you’re done to get rid of any excess energy. You’ll find a simple grounding technique on the Luna’s Grimoire website.